Posted under Health Guides. Updated 23 April 2018. Peanut allergy is more common than ever before; its prevalence has tripled in the past ten years. Approximately 1-2% of children in the United States have a diagnosed peanut allergy. Peanut allergy usually starts by age 2 with 75% of allergic reactions happening the first time a child has peanuts. Approximately twenty percent of people with peanut allergies can have a life-threatening reaction when they eat peanuts. What causes allergies to foods such as peanuts? When a person has peanut allergy, the body’s immune system reacts to one or more of the proteins found in peanuts, triggering the release of histamine and other chemicals; the action of these substances on skin and other organs causes allergy symptoms. Children at risk for peanut allergy often have other allergic conditions such as other food allergies, asthma, eczema, or hay fever, and can have relatives with allergic conditions as well. Can I be tested for peanut allergy? If your health care provider thinks you should be tested for peanut allergy based on your history, you may have a skin test, blood test, or both. The skin test involves pricking a drop of peanut extract on your skin and watching for a reaction. The blood test checks for a protein called Ig-E specific for peanut protein. If I have a peanut allergy can I eat other nuts? Peanuts are vegetables, coming from plants that grow in the ground; tree nuts are the seeds of fruits which come from trees. 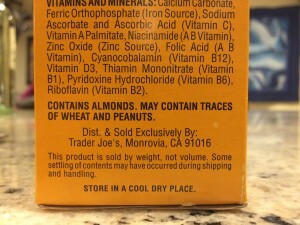 As such, peanuts are classified differently from the tree nuts (almonds, walnuts, cashews, etc.) However, approximately 35% of people with peanut allergies also have allergic reactions to tree nuts. But, if you are already able to eat tree nuts without a reaction, then you don’t have allergies to those nuts you are already eating and testing to those nuts is not necessary! Why do peanut allergies get special attention? 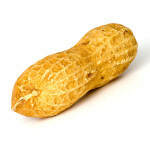 Peanuts and tree nuts are the most common causes of severe life-threatening allergic reactions. Every year, about 150 deaths are caused by allergic reactions to peanuts and nuts, even with best efforts to avoid exposure. Very small amounts of peanuts can cause reactions, although most symptoms are caused by the equivalent of one peanut kernel or more. Because of the many ways a person can come into contact with peanuts, it takes careful planning to maintain a peanut-safe environment for people who are allergic. What are the most common symptoms of peanut allergy? The most serious reaction to a peanut allergy is called anaphylaxis (an-uh-fa-lak-sis). Anaphylaxis is a life-threatening allergic reaction. Anaphylaxis happens suddenly and involves dangerous changes to your breathing, heart rate, and other body functions. Anaphylaxis usually happens within seconds to minutes of exposure to an allergen and is life-threatening without emergency medical treatment. If you or someone you know experiences anaphylaxis after coming in contact with a peanut product, use the EAI injector and call 911 right away! Because anaphylaxis to peanuts is unpredictable and life-threatening, if you have a peanut allergy you must always carry your EAI with you. If you have peanut allergy you should have a written treatment plan ready in case of an allergic reaction and make sure your teachers, camp counselors, friends (and others you may be with) know what to do in the case of an emergency. If you will be flying in an airplane, it is also important to tell the flight attendant about your allergy because you could potentially react to another passenger’s peanut-containing food. Anyone with peanut allergies or their parents should carry their EAI and be prepared to use it. Click here for instructions on using an EpiPen®. Click here for instructions on using Auvi-Q®. Have the EAI with you at all times, it can save your life! Make sure to keep track of the expiration date and replace when expired. How do I know if a food has peanuts in it? You must always check that a food is safe by carefully examining the Allergen Content Label or the ingredient list. Unfortunately, restaurant foods, foods sold at a bakery or ice cream shop, and foods prepared by other people don’t have labels. Avoid eating items that are unlabeled or that you have no information about. Whenever you are eating at a restaurant, be sure to tell the wait staff that you have food allergies and that none of the items you order can have peanuts or nuts. Also be aware that exposures can be caused by cross-contact, such as using the same knife to cut a peanut butter sandwich and then your tuna fish sandwich, or using the same ice cream scoop that has been contaminated with pistachio or maple walnut ice cream for your plain vanilla ice cream. Some product labels state that the food “may contain traces of nuts” or is “manufactured in a facility that also processes nuts.” This means that the food may have come into contact with nuts during the manufacturing process. For example, items can become contaminated while in contact with shared equipment such as a conveyor belt. Talk with your doctor about whether or not it is safe for you to eat packaged foods with these advisory warning labels. What is the treatment for peanut allergy? There is presently no cure for peanut allergy although scientists and researchers are working hard to find treatments; there may be some products available in the near future. until then, avoiding peanuts and foods that contain peanuts is the only way to prevent reactions. Most people with peanut allergy have the allergy for life, but studies show 20% can resolve peanut allergy with time. If some time has passed since your last allergic reaction, your allergist may repeat peanut allergy testing and if it’s negative, you may be eligible for a food challenge. A food challenge is performed by an allergist in an office or hospital, and consists of medically supervised administration of small, increasing amounts of peanuts until a normal dose is tolerated. If no symptoms appear, that person’s peanut allergy is resolved and he or she can start eating peanuts. A food challenge is always done with a doctor present; it is never safe to do a food challenge at home. Will there ever be a cure for peanut allergy? There are several promising areas of research that may lead to treatment for peanut allergy. These include oral desensitization protocols, allergen skin patches, vaccines, and other experimental approaches. Be optimistic that scientific research will pave the way for treatments and even a cure in the future! There may be support groups in your community available for you and your family to talk with others who struggle with similar challenges to having a food allergy. If you are allergic to peanuts and tree nuts, learn about preventive and avoidance measures, have an emergency action plan ready and always carry an Epipen®. Having a peanut-safe life is achieved by learning what foods you can and cannot eat, always being prepared to recognize symptoms of an allergic reaction, and having ready access to your EAI. Tell your friends, teachers, and others that you spend time with that you have peanut allergy, just in case you ever need their help.